John Macleod was part of the team of researchers who isolated insulin in 1922, a discovery which has saved countless millions of lives. Macleod was a Professor of Physiology at the University of Toronto when he was approached by physician Frederick G. Banting, who had an idea for studying the hypothetical internal secretion of the animal pancreases to unravel the riddles of diabetes. Macleod gave Banting permission to use his laboratory and equipment, and offered his advice and the services of one of his student assistants, Charles Best. When Banting and Best made a promising breakthrough, isolating insulin in dog pancreases, Banting helped analyze their data and brought in biochemist James Collip, who found a practical means to extract the newly discovered hormone from cattle. 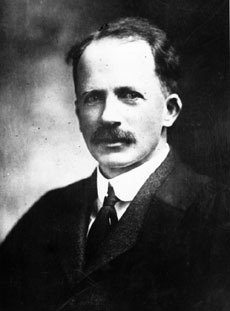 Macleod also worked diligently to promote the distribution of insulin, and wrote numerous papers on its use and actions. Macleod and Banting were awarded the Nobel Prize in 1923, but Macleod's inclusion and Best's exclusion from the Nobel honors have long been considered controversial. Banting openly complained that Best's contributions were far more crucial, and even shared half his Nobel endowment with Best. Macleod shared his half of the Nobel Prize payment with Collip. The general consensus of those who have studied the controversy is that Banting and Best, while eager, lacked the research background to appreciate the value of the Macleod's guidance and contributions.